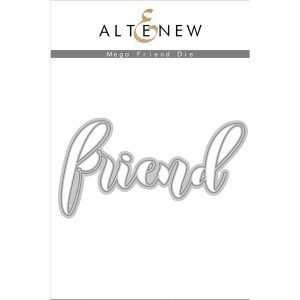 Mega Friend die by Altenew. 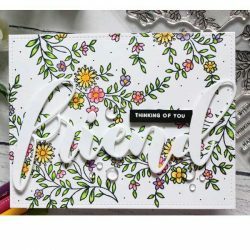 This large die is just over 5″ wide so it works perfectly as the focal point of your card, scrapbook layout, or even home decor! 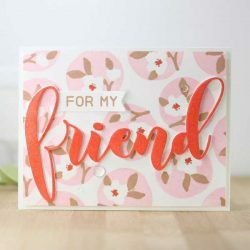 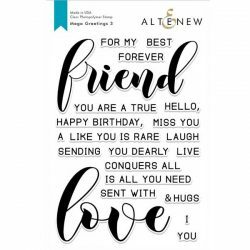 Make a big impact on your project with this trendy die, which is designed to complement the Mega Greetings 3 Stamp Set. 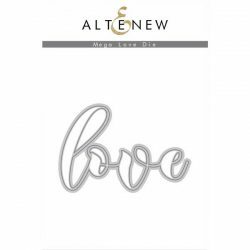 Die dimension: The die measures approximately 5.4″ x 2.8″.